With the RBA setting the official cash rate at all-time lows, it’s a good time to work out how this impacts the interest rate on your home loan and whether you are getting a good deal or not. When the interest rate on your home loan fluctuates, it can feel as though you don’t have control of your debt. Despite being frustrating, interest rate changes are a part of every loan’s lifespan and warrant your consideration. The interest rates that banks charge on their home loans are influenced by the Reserve Bank of Australia’s (RBA) cash rate. The cash rate is reviewed by the RBA on a monthly basis in order to safeguard Australia’s economic stability. This, in turn, has a very strong impact on the interest rates your lender charges you. 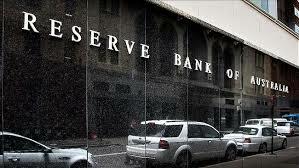 The RBA supports the banks with liquidity facility. The RBA is a bank to the banks. The cash rate is effectively the rate at which the RBA will lend to the banks, and what the banks effectively use as a reference rate for other things. When the cash rate is changed by the RBA, lenders decide whether or not to mirror the new rate in the interest they charge their mortgagees. This is entirely up to the lender in question and depends on the market and how the lender is performing at the time of the cash rate change. If you look at the mortgage market, specifically by itself, it is very competitive. It is about the lender trying to get the right outcome on the deposit side of the balance sheet within the context of a very, very competitive marketplace, but recognising that a reference rate has changed and, therefore, looking at where they stand. Some lenders choose to shift their interest rate changes higher then the RBA cash rate change, and recently we have even seen banks move their rates when the RBA themselves doesn’t move the cash rates, in these instances, other lenders may be offering lower interest rates than the one you currently have. Keeping track of how your lender manages cash rate changes and where that leaves you as the person paying the interest can be time consuming, and is made more difficult by fees, charges and the flexibility offered by different loan products, which all need to be weighed alongside the interest rate. A simple way to regain control of your interest rate is to lock it in for a period, if you believe rates are not likely to fall further. Fixed rates offer less flexibility, but more certainty. Abby at Conlon Financial Solutions is familiar with the different lenders and their responses to cash rate changes and can track interest rate fluctuations across a panel of lenders to ensure you’re getting a great deal.